Risk is an interesting word in the project management world. In some corners, risk is a four letter word to be avoided at all costs. During the financial crisis of 2008-2009, risk became associated with bankrupt firms, reckless activities and economic collapse. Given that context, it’s no surprise project risk management makes people nervous. Project risk management is like gravity. It is always present, it can be useful and it is foolish to deny its existence. In that sense, seeking to eliminate project risk is a fool’s errand. Risk simply needs to be understood and managed in order to reach project success. David Hillson once defined risk as “uncertainty that matter.” That definition resonated with me. For example, uncertainty about tomorrow’s weather makes little difference to a bank. On the other hand, uncertainty about inflation does impact a bank’s operations. 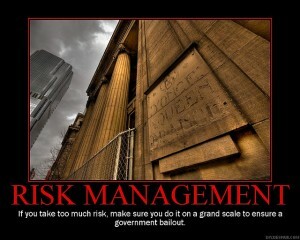 The financial industry has a set of risks of its own to manage. The range of risk – interest rate, operational, liquidity and more – impacting finance has given rise to an entire series of books, degree programs and armies of consultants. 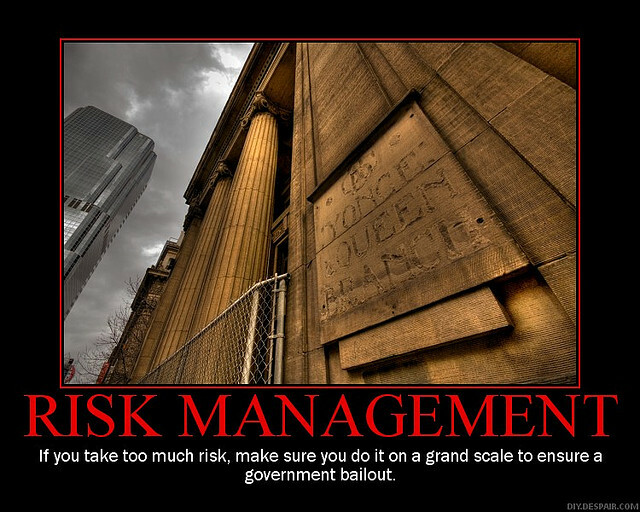 Project managers in finance need to understand those risks. What are the uncertainties that matter to project risk management? Two important examples come to mind immediately: people risk and vendor risk. In my view, people risk represents the uncertainty that a key project team member may resign, become ill or otherwise be unable to complete their tasks. Vendor risk represents the uncertainty about a vendor delivering against their project plan. These two examples show how contributors to your project can derail your success. Project risk management is always present. It is reasonable to take sensible preparations to forestall disaster. However, every hour or dollar allocated to managing risk represents resources taken away from achieving the project’s ultimate results. Carefully weighing this trade off or opportunity cost is a key responsibility for the project manager.